← Wait, What? They Like Ike Memorial? The nation’s much-heralded transgender moment has finally ascended to America’s Big House. The White House for the first time has hired an openly transgender person as a member of its staff, LGBT advocates and the Obama administration announced Tuesday. 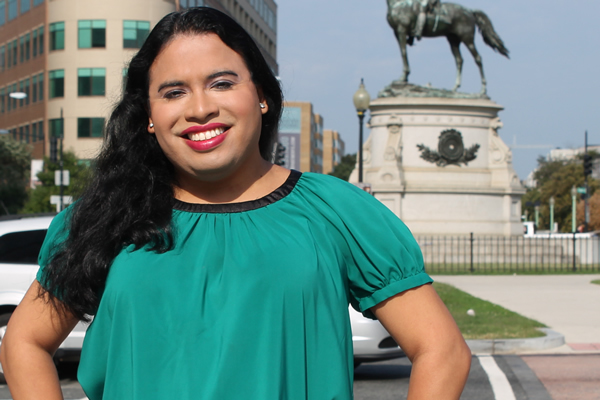 Raffi Freedman-Gurspan, who formerly served in trans advocacy as policy adviser for the National Center for Transgender Equality’s Racial & Economic Justice Initiative, has been appointed to a senior position in the White House Office of Presidential Personnel. She’s set to begin her new role as an outreach and recruitment director in the Presidential Personnel Office on Tuesday. Okay, how about a mazel tov. This entry was posted in Uncategorized and tagged America's Big House, Brookline, Daily Beast, LGBT, National Center for Transgender Equality’s Racial & Economic Justice Initiative, Presidential Personnel Office, Raffi Freedman-Gurspan, transgender moment, Washington Blaze, White House, White House Office of Presidential Personnel. Bookmark the permalink.